On April 1, 2016, the United Nations General Assembly declared the “United Nations Decade of Action on Nutrition, 2016-2025”, a common vision towards mobilizing actions to eradicate all forms of malnutrition in all countries. Following the recommendations and commitments of the Rome Declaration, the International Conference on Nutrition (ICN2) Framework for Action and the 2030 Agenda for Sustainable Development, the UN Decade of Action on Nutrition is a commitment of Member States to undertake sustained and coherent efforts over the next ten years in implementation of policies and programs to increase visibility at the highest level, ensure coordination, strengthen multi-sectoral collaboration, create synergies and measure progress towards sustainable food and nutrition security for all. According to statistic numbers from the World Health Organization, worldwide there are 155 million children who lack the nutrition for healthy growth, while 1.9 billion adults who are overweight due to malnutrition. Of the 17 goals of the 2030 Agenda for Sustainable Development, 12 goals are directly and indirectly linked to nutrition. 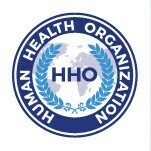 HHO joins the global efforts by Member States, the private sector, academia, and other non-government organizations in the decade long drive to accomplish the above goals proclaimed by the United Nations. HHO works closely with experts from the scientific and academic community identifying real world trends and solutions to some of the pressing problems and challenges. 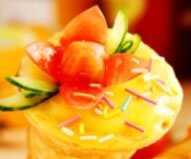 A current specific focus is on balanced protein product solutions to the youth community and the general public, incorporating the state-the-art nutritional know-how covering the spectrum of proteins, omega-3, probiotics and prebiotics, plant-based diets, and paleo diets, among other nutritional themes.